Mar. 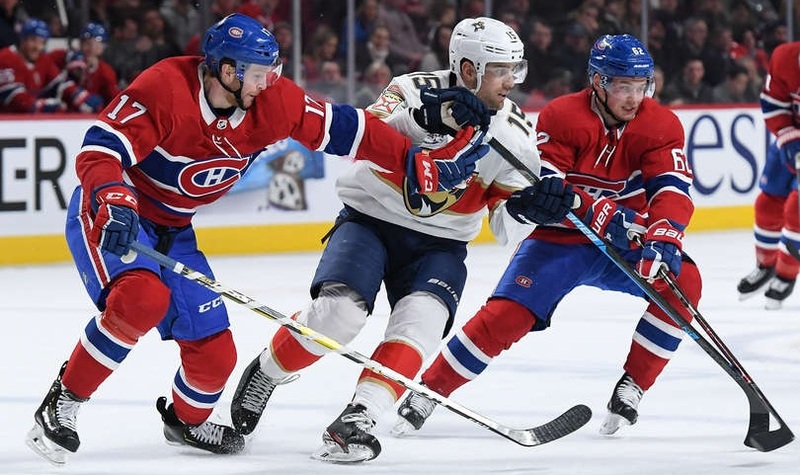 26: Canadiens 6, Panthers 1 – The game got off to a tough start for the Habs as Paul Byron was injured in an early fight with MacKenzie Weegar. However, things got better after that as Montreal took advantage of a Florida defence that has been shaky and goalies that have just been lousy as of late. Tomas Tatar led the way with three points while Carey Price’s shutout bid was spoiled early in the third. Mar. 28: Blue Jackets 6, Canadiens 2 – A regulation win would have given Montreal some much-needed breathing room in their push for a playoff spot. It looked like they were on their way to doing that early as they were dominant early on in the game and actually had the lead at the halfway mark. 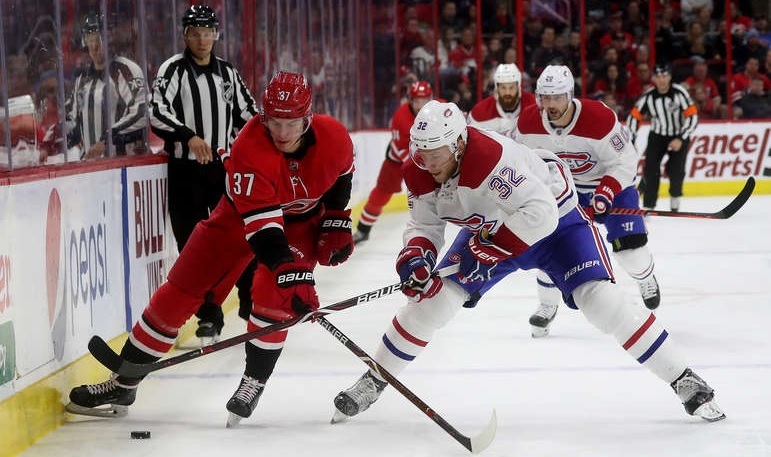 It went downhill from there in a hurry as Columbus scored five unanswered and put a big dent in Montreal’s playoff hopes while giving their own a huge boost. Mar. 30: Canadiens 3, Jets 1 – This was the definition of a solid road game. The Habs didn’t give Winnipeg too many opportunities and while they weren’t the most opportunistic when it came to scoring on Connor Hellebuyck, they did enough to get the win. Jesperi Kotkaniemi was a healthy scratch for this one, a decision that has been largely-debated, to say the least. – While Byron missed most of the Florida game plus the other two in the week, he has resumed skating and, at least for the time being, appears to be a potential option to suit up on Tuesday night against Tampa Bay. – Ryan Poehling signed an entry-level contract with the Habs that covers the current this season. That makes him eligible to play down the stretch (and in the playoffs if they make it) but he will not be eligible to go to Laval at any point this season. – Tomas Tatar set a new career high in points with his three-goal game against Florida. He’ll need a big final week to equal his top single-season goal output though as he’s four shy of his 29-goal campaign back in 2014-15. Apr. 2: vs Tampa Bay – A must-win game against a team that has been beating everyone as of late. That’s quite a way to start the week. It’s worth noting that Tampa will be on the back half of a back-to-back set so there’s a chance that they’ll at least avoid facing Andrei Vasilevskiy. Victor Hedman’s availability is also in question after leaving Saturday’s game early with an injury. Apr. 4: at Washington – Depending on what happens between now and this game, the Capitals may be locked into the top seed in the Metropolitan Division. If that happens, they could potentially rest a player or two. However, they don’t have too many extras on their roster and are trying to preserve as much cap space as possible for bonus overages so even if they wanted to sit some people, they could only sit a few. Apr. 6: vs Toronto – There’s a very slim scenario where this game could be meaningful for both teams. (Montreal would have to win their two games and Toronto would need to lose three straight in regulation. If that happens, this would be a battle for the third seed in the division.) If the Maple Leafs have clinched by then, they’ve already said they’ll be resting players so if the Habs are still in the playoff picture at this time, they should have a good shot at getting this one. I know some don’t seem to like Jordan Weal as his insertion into the lineup has resulted in a drop in playing time for Jesperi Kotkaniemi. If you look beyond that for a moment, you’d see that the Habs have a pretty useful player on their hands, one that they may want to consider trying to re-sign for next season. Yes, I know there are young players coming that could push for a roster spot. I’d counter with suggesting that those young players could benefit from time in the minors so keeping Weal wouldn’t necessarily be preventing any real player development. 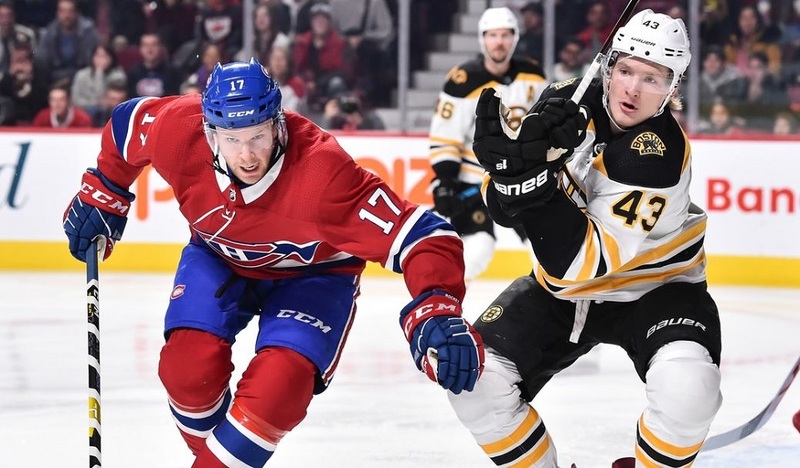 Claude Julien has been playing him a lot but let’s face it, he’s earning that ice time with strong performances. The Habs don’t have a ton of right-handed shots and even fewer that can win faceoffs. Weal can do that. They don’t have a lot of natural power play players. Weal seems to be able to do that. Montreal likes to play fast. We know Weal can do that. He’s basically a better version of Matthew Peca. What’s wrong with bringing him back to play the role that Peca was seemingly signed to fill, a speedy forward that can play multiple positions and move around the lineup? His addition was a nice pickup by Marc Bergevin. Here’s hoping it’s one that will last beyond the next few games.